Already January is over and with it a large portion of our winter season is gone. Forget our winter sleep; we don’t have time any more for that! We are already starting with our Festas. 10th February and off we go with a bang; we celebrate the Shipwreck of the Apostle Paul on our islands. That is how old our hospitality industry is. We have it written in the Holy Books how, after a terrible storm, St Paul and his shipmates were thrown on this island where the inhabitants welcomed them, gave them food, started fires to warm them up; in other words they did everything they could to make them feel at home. We still do this today with the thousands and millions who decide to have a taste of our hospitality. In order to continue on this vein we do not limit ourselves to celebrating a Festa in February. What is it that most people, the world over associate February with? Valentine’s Day, of course, and, to celebrate this international event, Gozo sets up its own special initiatives, spanning over the whole weekend, for the romantic couples to cross over and honour the event in style. Laid back is the rule. Difficult to beat us at that. 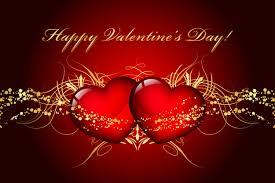 Also we, at Dar Ta’ Zeppi, have our offers for this special day. We just cannot let the day go by without letting you have a taste of our special hospitality. But, of course, February can never be complete without celebrating Carnival as well. In Gozo we have gone that one step further over Malta and celebrate our Carnival over two weekends instead of one. Why not? If people come over to enjoy themselves, especially if they are running away from the cold and dreary winter in Europe, why not give them as much warmth as possible to revive their spirits. I am writing this piece on a bright sunny morning with a spotless blue sky; all this after a day of grey rainy weather. 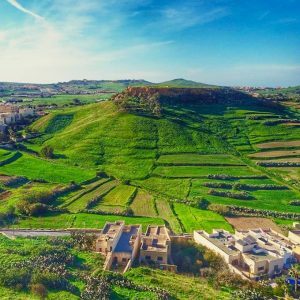 It is obvious that the Gozo Sun is winning the battle of the skies while in our countryside the bright spring colours have already started emerging among the green of our fields.